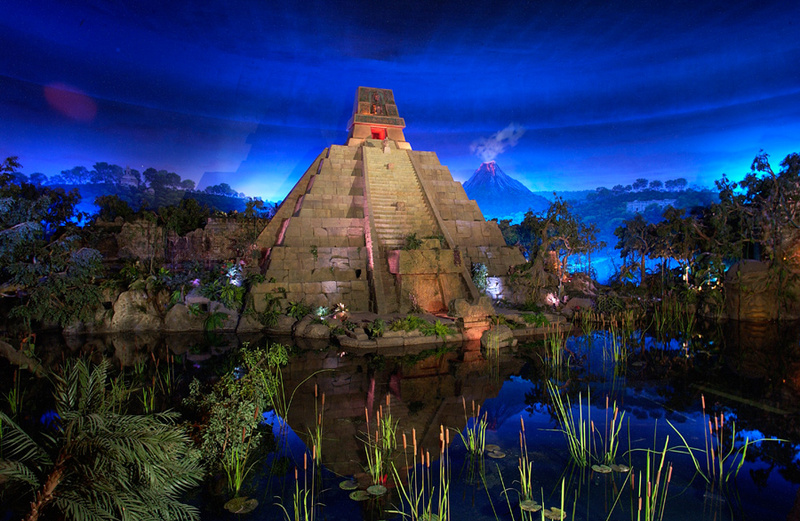 El Río del Tiempo (now known as Gran Fiesta Tour Starring the Three Caballeros) was dedicated at the Mexico Pavilion at Epcot on October 21. Below is a look at the attraction under construction prior to opening. 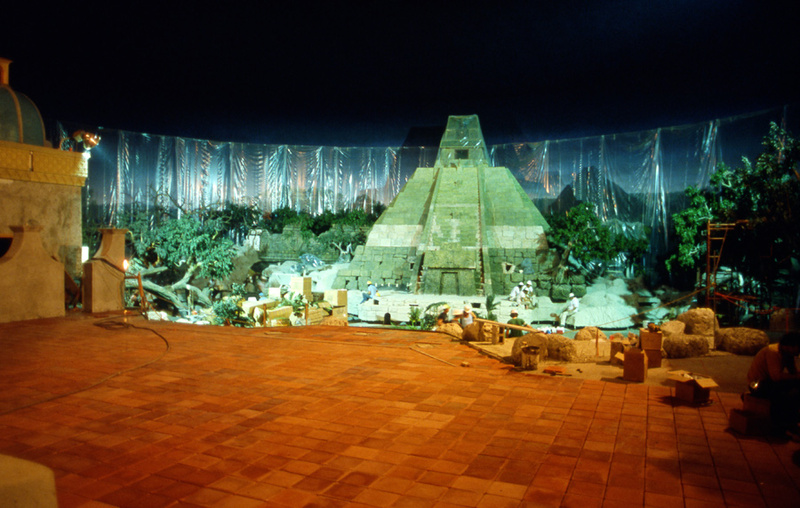 As the tour begins, guests board boats and float through the 220-foot scenic background seen above (seen above still under construction) and below (today) which recreates a lush Yucatan jungle for the opening of their excursion. The crumbling pyramid and smoldering volcano set the scene as guests go in search of Donald before the Three Caballero’s reunion concert in Mexico City. After being launched up a pyramid via a high-speed escalator, losing his bathing suit while para-sailing, and bouncing off rocks while cliff diving, it’s a miracle Donald makes it to the show on time to perform for his fans.